Looks like someone at the cour found the time to update their website with several additional events of the past week or two. So prepare yourself for not one but four posts, at least, coming your way! First up is the Liichtmëssdag. The 40th day after Christmas is the day the children of the Grand Duchy carry lanterns from door to door to neighbours and sing a song in exchange for sweets. 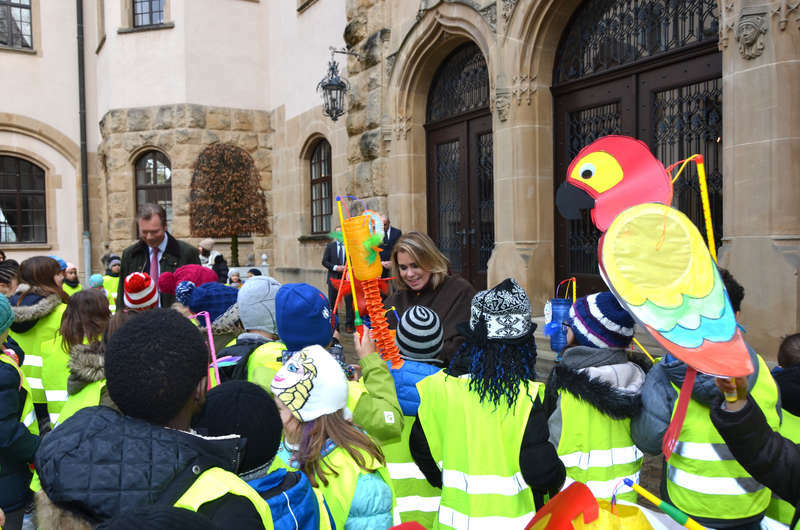 Mind you, the group isn't always as big as the almost 100 children aged three to ten that visited the Grand Duke and Grand Duchess at the Château de Berg. The cour has a few additional visuals.